It is without a question that every Dubai holidays must include a trip to the grand Palm Jumeirah. Listed as one of the marvels of the 21st century, this man-made archipelago is the symbol of opulence that defines Dubai. 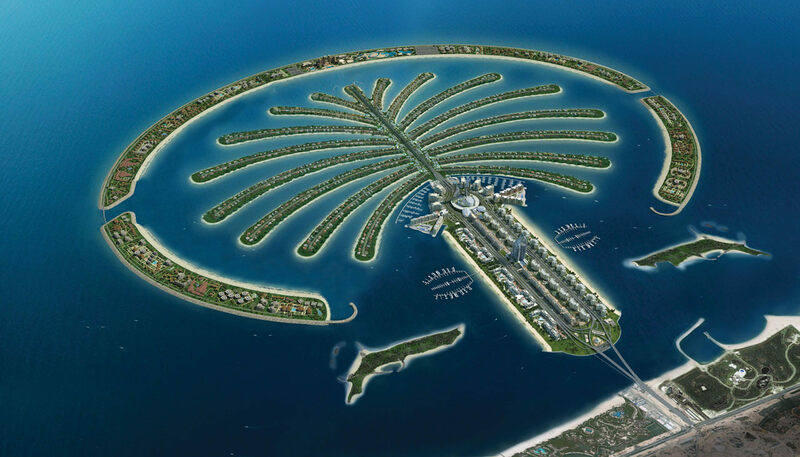 The palm Jumeirah or the Palm Islands are a group of artificial islands, each shaped like a palm leaf. It has added several kilometres of coastline of Dubai and although it’s a spectacular view from Dubai Marina, its best viewed from above. Palm Jumeirah is quickly becoming a perfect place to visit and stay on your holidays in Dubai. The splendorous island is built on sand and natural rock with coral reefs surrounding it, This man-made marve offers an experience that is exclusive just to this place. There are a plethora of fine dining restaurants, theme parks and recreational activities that you can enjoy here at Palm Jumeirah. The state of the art monorail system provides access across the islands. It’s a 5.4 km long rail route that runs between gateway station at the trunk of Palm Jumeirah and the Atlantis station on the crescent. There are numerous shops and various attractions that lie between these stations. Out of the best activities that you can enjoy at the Palm islands, apart from indulging in various cuisines and lavish stay, would be its recreational activities including water sports and sky diving. There are many water sports that you can enjoy in the waters of Palm Jumeirah. Scuba diving, speed water boating, snorkelling and many more are offered here. There’s the Al Boom diving center at Atlantis that offers various courses in snorkelling and scuba diving. If you are a pro you can just hire the equipment from here and plunge into the blue waters. Speed water bikes can be hired from the beaches. 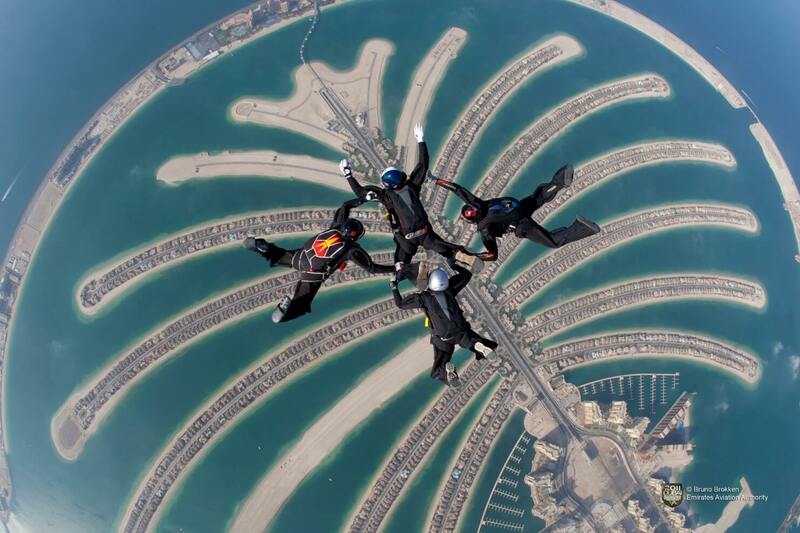 Skydiving is a sport that you must try out here at the Palm islands. The view of the Palm-shaped archipelago can be viewed in its full grandeur from high above. The Skydive Dubai offers different sky diving courses, where you can learn the sport and become a pro skydiver. 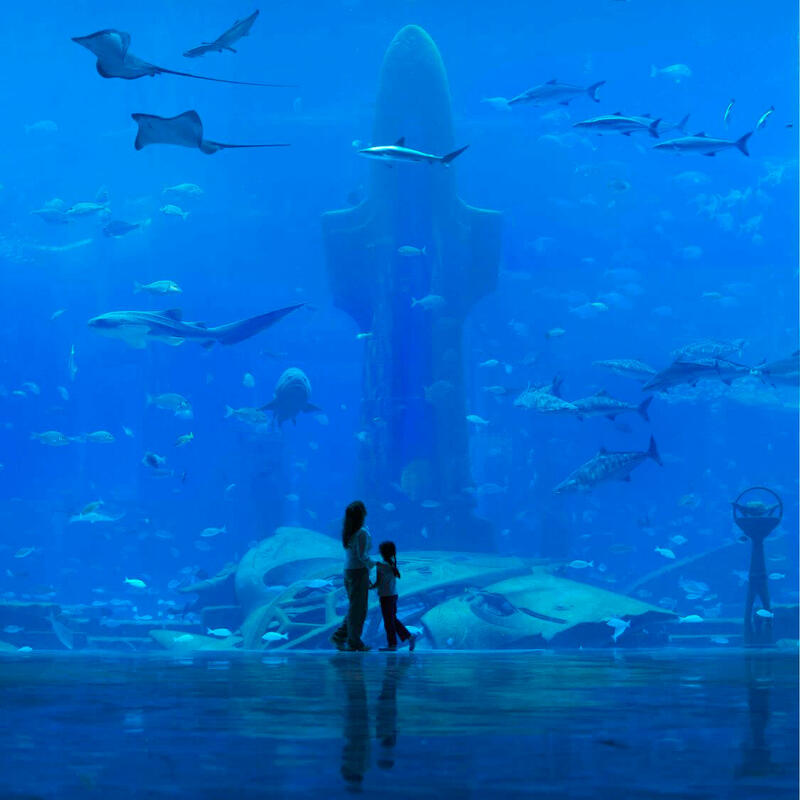 So, on your next trip to Dubai make sure to visit the Palm Jumeirah even if you don’t plan to stay there. No trip to Dubai is complete without visiting The Palm Jumeirah. This man-made archipelago is the symbol of opulence that defines Dubai.